See you in September for the next edition of the Roncesvalles Polish Festival! 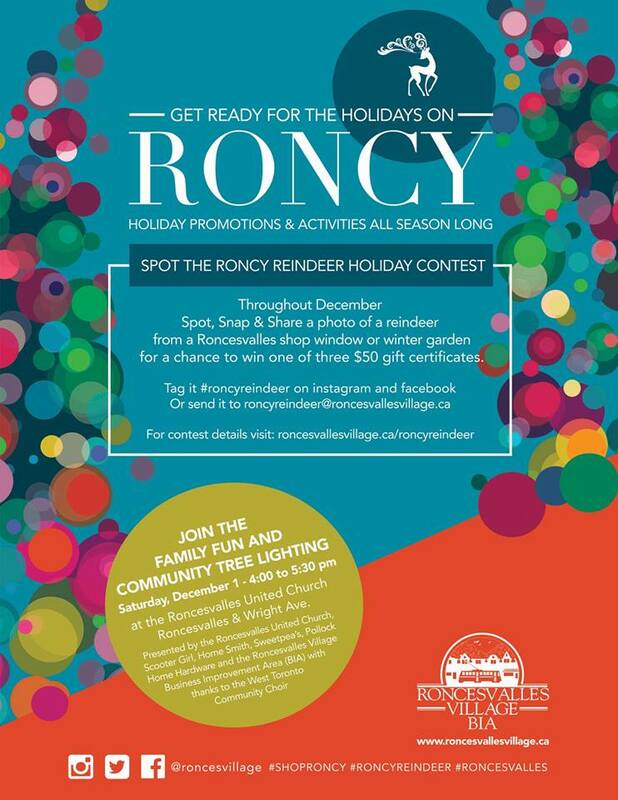 Get Ready For the Holidays on RONCY! 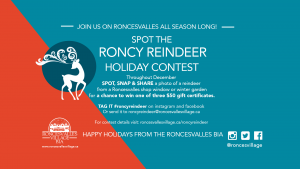 Spot, Snap & Share a photo of a reindeer from a Roncesvalles shop window or winter garden for a chance to win one of three $50 gift certificates. Want to be a part of the tree lighting? Head to the High Park Library and ask for an outline of our very own High Park library from the front desk; colour it in and add a reindeer or holiday decorations and lights to the picture and hand it back in. Add your name and number and you’ll be automatically entered into a random draw to select the one to help with the tree lighting Saturday, December 1ST AT 5PM at the Roncesvalles United Church! This entry was posted in CURRENT, Events and tagged Holidays on November 22, 2018 by Daniele.